Citroen C3 Running Costs, MPG, Economy, Reliability, Safety | What Car? 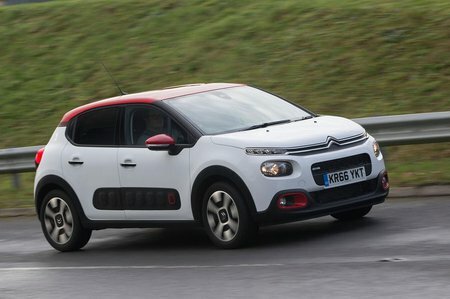 Most small cars are bought on PCP finance, so good news: Citröen will do some decent deals on the C3 to keep your monthly payments low. If you happen to be buying outright then dealers are happy to discount as well, but be sure to check out our Target Price data for the latest on how much you can save. Servicing and insurance aren’t the cheapest in the class, but we’re talking in hundreds, rather than thousands of pounds, after a typical three-years’ ownership. Only the 1.6-litre diesels gets under the magic 100g/km of CO2 emissions, which means you pay no road tax. But if you thought they’d make the cheapest company cars in the range, you’d be wrong. The 109bhp 1.2-litre petrol is also pretty efficient and cheaper to buy, so it’s cheaper than the diesels for benefit-in-kind (BIK) payments. The diesels will potentially use less fuel though, which is something to bear in mind if you do a very high mileage and can recoup the savings at the pumps. 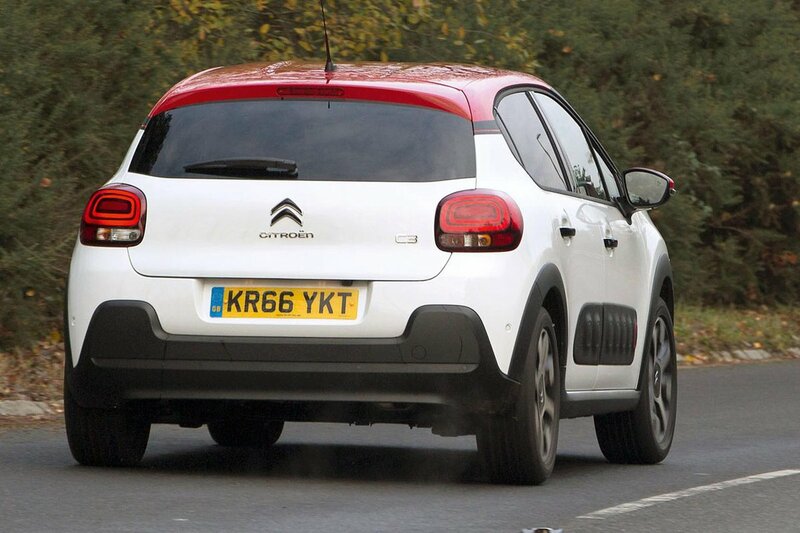 But whether you choose petrol or diesel, all C3s offer claimed average fuel consumption to rival the very best in the class. That’s partly why we think it’s worth the upgrade to the Feel trim. It does get 16in alloy wheels and climate-control (rather than just manual air-con), plus a 7.0in touchscreen with Apple CarPlay, so you can use your phone’s sat-nav through the screen. 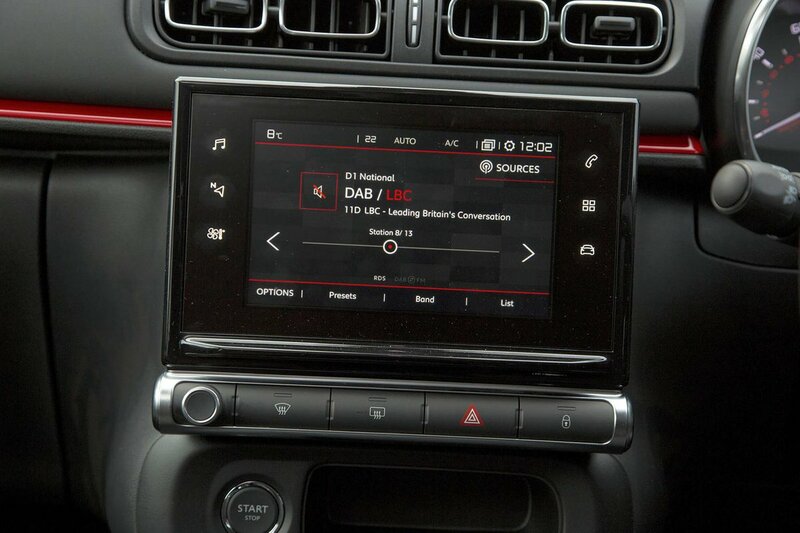 You also have stereo controls on the steering wheel and electrically adjustable door mirrors. At the top of the range is the Flair model. This pushes the price up by a reasonable chunk, but for that you do get rear parking sensors, a rear-view camera and an in-built dash cam; if you end up having a bump this could provide the proof that it was ‘that idiot that ran in to me,’ and not the other way around. Other trinkets include automatic lights and wipers, an auto-dimming rear-view mirror, and privacy glass. Plus you get the distinctive plastic ‘air bump’ side mouldings, a contrasting coloured roof and door mirrors, plus a leather steering wheel and gearlever. As a brand, Citröen’s been improving its reliability and dealer service over recent years, and features in the mid table of our most recent reliability survey. Every C3 comes with a three-year/60,000-mile warranty – the first two years are the manufacturer’s warranty, and the last year is a dealer warranty. You also get one year’s breakdown cover. Euro NCAP hasn’t released crash-test data for the current C3 yet, so we’ll let you know the results in due course. We do know that the all C3s come with a good compliment of six airbags, and active safety features such as lane-departure warning, speed-limit display, and a tiredness monitor. That’s great, but the system we think is most useful is autonomous emergency city braking - because it can prevent the common situation of shunting the car in front – and on the C3 that’s not available, even as an option. Other cars such as the Skoda Fabia and Nissan Micra feature this as standard on selected trims. This is the only car currently on sale with an in-built dash cam, though. It’s an option of the mid-spec Feel trim and standard on the top Flair model, and could help save your no-claims bonus. All trims come with an immobiliser and remote central locking, but only Feel versions with the most powerful petrol and diesel engines come with an alarm. This is standard on all of the top-spec Flair models.